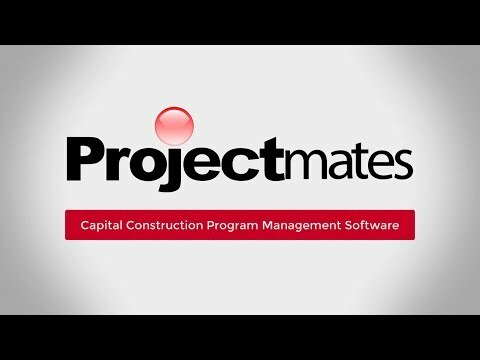 As a leader in the construction industry and managing multiple projects, many people depend on you. It is essential to allocate time and resources effectively to meet the growing demands of the industry while strengthening our great country with growing skylines, shops, hospitals, and schools. Each industry is unique; however, there are some key components to keep in mind that can help you save time and money for your projects. As a project owner, being able to quickly and easily look into a project from a macro to micro view is essential. A clear audit trail to show what documents have been opened and which RFIs have been responded to can give peace of mind when barbequing with friends and family and suddenly have a small question pop up on a high priority project. You may want to be able to enjoy the parades and festivities without needing to pull up an excel document and hoping it has the most recent and accurate information. Is the report up to the minute? Has everyone submitted the most relevant information? These are not questions that should be asked. Instead, enjoy the parade and quickly pull up a report on your laptop and easily navigate to your projects of choice. Tired of traditional file cabinets that take both time and excess energy to navigate and space in the office (or stored off-site)? Documents are easy to lose or misfile and can take as much as 30% of the day to find, and if lost it could take on average another 5 hours to reproduce. Having a digital version that can be easily shared, searched, updated, and marked up is a comprehensive solution for instant ROI and peace of mind. More accessible than finding a firework stand and simpler than pouring a glass of lemonade, all your project documents can be easily stored, archived, and accessed at any time. The traditional top hat and plaid pants had its day but was replaced with easier to wear clothing. Post it notes, excel, and antiquated software that only runs on one browser with 3rd party plug-ins have had their days as well. Increasing deadlines and tighter budgets means that an increase in productivity through technology is needed to help gain a competitive advantage in the industry. The platform used should be forward-thinking and looking to incorporate BIM, collaborative markup tools, and calibrated to work proficiently with existing and developing internet browsers and cloud technologies. This ensures that the solution you invest in today will still be relevant and optimized for the next 2, 3, and 10+ years. Freedom is something that will be celebrated not just on the 4th but beyond, and the freedom to choose the most comprehensive solution for your needs is a must. There are many options out there for what to choose to empower your project program schedule to new heights of achievement. The best choice is the one that gives peace of mind and intuitive transparency into the project schedule. A recent Dodge Report showed that an increase in productivity for the construction industry by just 1% could reduce global costs overall more than $100 billion. By integrating future-based cloud technology to incorporate your projects onto a single platform so everything and everyone is connected will help you realize some of those savings. Have a great 4th and enjoy time with friends and family worry-free. For Architects, Engineers, Contractors, and Owners, they know that construction projects run on their schedules and budgets, and the heavy workload of keeping them in check is typically done through a variety of different ways.